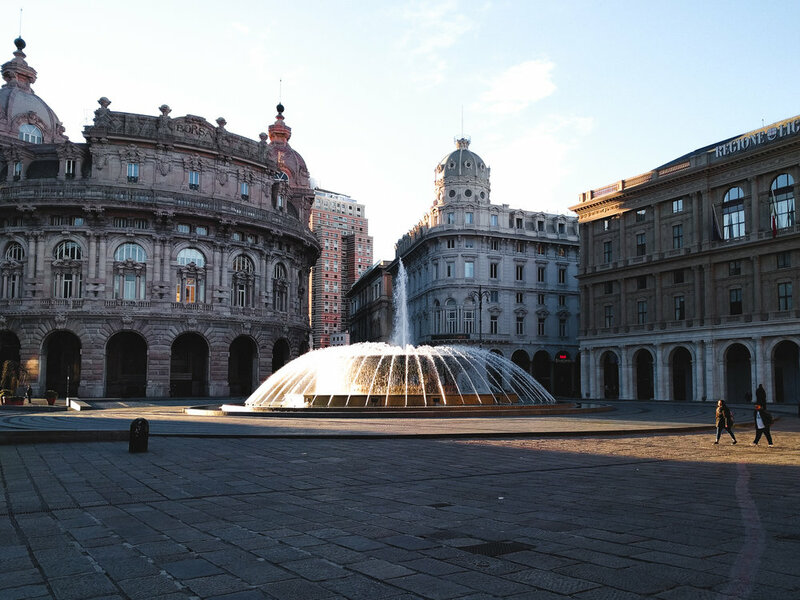 Piazza de Ferrari, the main piazza with ancient palaces and a fountain, in Genoa, Italy. A juxtaposition of the old and the new: ancient stone palaces, shooting up as far as the eye can see, intermingle with brutalist architecture, both tainted by rebellious graffiti. The compact city centre, busy and noisy, morphs into quaint seaside neighbourhoods, where life seems to stand still.